Despite all the hubbub surrounding social media marketing and new online tools for lead generation, good old fashioned email marketing is still one of the most effective ways to create a reliable customer base for your business. That being said, creating attention-grabbing communications and sending them on a regular basis is no easy task. With a lifetime subscription to Stackmails Email Automation, you can turn leads into customers straight from your Gmail account. Stackmails makes crafting and sending custom emails or drip campaigns a snap. It automates sending while still allowing customization for an inbox presence that feels natural to your potential customers. You can tailor your emails with custom fields, add prospects via MySQL or .csv files, and track analytics to identify trends and make your campaigns more effective. You can create trigger-based email follow-ups, send personalized emails to up to 2,000 recipients, and automate your campaign based on how your prospects behave with Stackmails. Integrating multiple Gmail accounts makes it easy to keep everyone involved in your company on the same page, while options like monitoring bounce rates and links help you figure out what your customers need and how to fulfill that pain point. 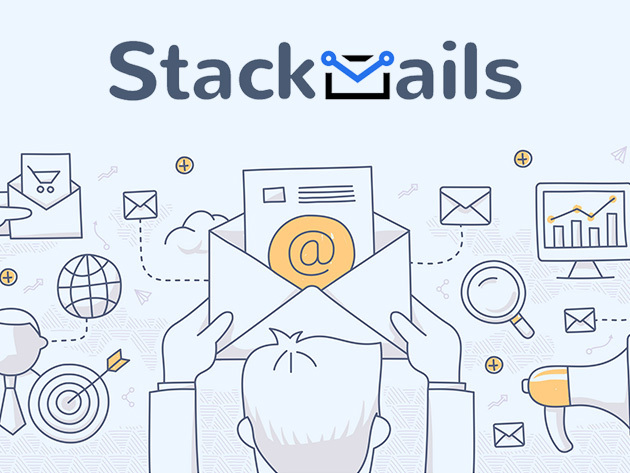 A lifetime subscription to Stackmails Email Automation usually costs $2,280, but you can set it up right now for only $49 (97% off). Want your products featured in The Salon Marketplace? Learn more about how to sell your products online!